Oh wow!! this is beautiful!! 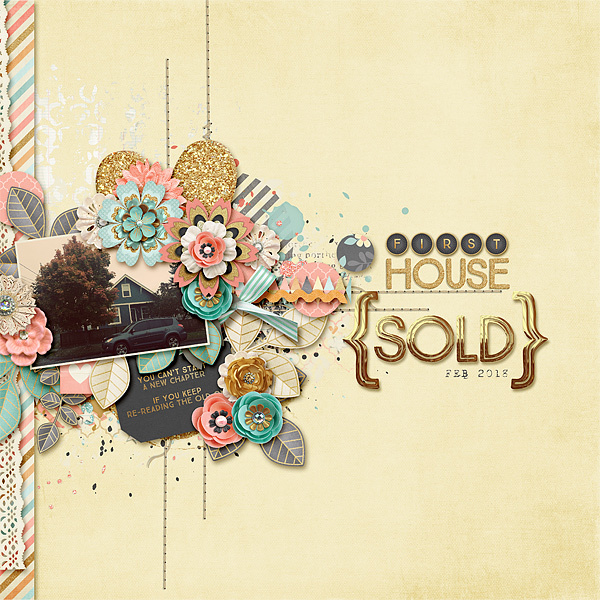 I love these colors that you used to scrap the sale of your home!!! beautiful page!! Congratulations on the sale of your home! What a gorgeous page! I love the treatment on your photo and your clustering. Love the soft colors, and the vertical flow of this page! I love the added touches of gold and the great use of white space! This is so beautiful, Lea! I love your color choices and the tone of the photo. Your title work is fantastic.